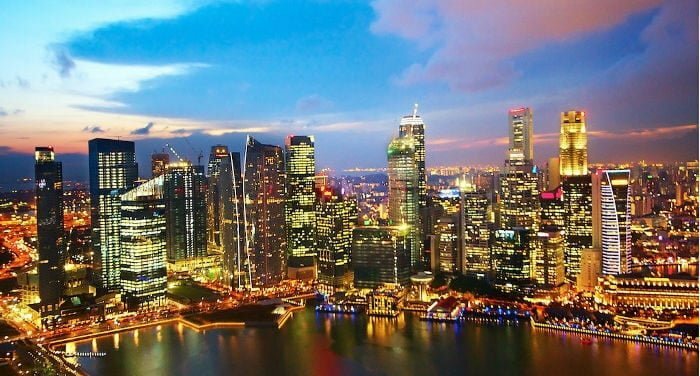 Singapore is a safe, pro-business environment that supported by a well-respected government with transparent and consistent policies that protect companies physical and IP investments. There is minimum red-tape for doing business in Singapore and is one of the top least corrupt countries in the world. It is also a well-developed infrastructure that meets all the needs of business industry and is ranked as one of the top countries in the world for its infrastructure capabilities. Singapore is an ideal location for global businesses to site their headquarters. Strong trade and investment makes Singapore one of the most competitive Asian countries and one of the world’s easiest place to do business. All Singapore-based start-ups that qualify for full tax exemption scheme of Singapore tax – ask to your agency for the specific conditions needed for qualifying – won’t pay any tax on the first $100,000 of taxable income for first three years and 50% of the current corporate tax rate for the next $200,000 of taxable income. Singapore has been steering its local workforce towards higher value occupations like finance, biochemistry and industrial engineering through education and propaganda. This creates a restricted labour pool in the hospitality, F&B, tourism and retail sector. The only way to fill this void is to accept an influx of immigrants willing to work such positions. Simple supply and demand and thus result in higher foreign worker levies and quotas, thereby increasing the cost of labour for small businesses. In addition to high labour costs as highlighted above, land costs in Singapore is high due to very limited country size and strategic port location. It is expensive to buy as well as rent land space in Singapore. Renting an office, building a semi-conductor factory or even renting a retail shop space can be costly as much compared to neighbouring Asian countries. Singapore does not have natural resources and depend intensively on importing of raw materials and ready made products from other countries. This eventually, brings up living costs and cost of goods sold thus contributing to overall costs. All Singapore company incorporation formalities (as well as work permit formalities, if applicable) can be handled without you having to visit Singapore. You just need to engage a professional agency and discuss all the details by email or phone with them and send all the necessary documents (see below for details) via email and pay by PayPal or bank transfer. You can then receive the final documents at any place and send back the original signed documents by any international courier service to the agency. The only exception case that you may need to visit Singapore will be the opening a bank account, depending on the bank you choose. If you plan to relocate to Singapore to operate your company, you are required to obtain an Employment Pass or Entrepreneur Pass type of work pass. Once you have obtained your work pass, you can act as the local resident director of your company. For simple company structure, which unless you have special requirements, the above mentioned required documents shall be suffice for your agency to prepare the necessary company incorporation paperwork and send to you via email for signature. The timeline for the whole process of incorporation (from collecting documents until online incorporation) should be approximately 5 working days. Local Entrepreneur: This package is suitable for entrepreneurs who wish to setup a Singapore company and have their own local Singapore Director. Foreign Entrepreneur Without Relocation: This package is suitable for foreign entrepreneurs who wish to setup a Singapore offshore company but don’t plan to relocate to Singapore. Foreign Entrepreneur With Employment Pass: This package is suitable for foreign entrepreneurs or professionals who wish to form a Singapore company and relocate to Singapore to run their company operations. You must have a degree and/or relevant working experience to setting up business and apply for the employment pass. For client who will like to engage nominee director services, it is very important to appoint a competent person to act as your local director of your Singapore company. A wrong choice in the appointment may bring dire consequences to the company. Most of the professional agencies offering Singapore incorporation services often offer the services of a nominee local resident director as well. Below you find the package fees for Singapore Company Incorporation / Singapore Subsidiary Incorporation (in Singapore Dollars, SGD). Note that, at the moment of writing this article, 1 USD is worth around 1.4 SGD. Also, note that the acronym “W/GST” in the table mean the price inclusive of Goods and Services Tax of 7%, which must be collected on behalf of the Singapore Government. *If you can provide a local Singapore address as the registered address of the company, the fee will not be applicable for the local entrepreneur package. * If you can provide a local Singapore address as the registered address of the company, the fee will not be applicable for the local entrepreneur package. Beside this, a Singapore Company is required to prepare management accounts and submit audited report (certain companies status are exempted from audit, check with your agency) to the Inland Revenue Authority of Singapore (IRAS) once a year. The first tax return will be issued by IRAS within 18 months of incorporation. A decent agency will also offer you an accounting, auditing and taxation services. This does not come for free and prices may vary as they are based on the number of invoices you produce. You can easily get the quotation from your agency, agreed to the price, make your payment and email all your business transaction documents to the agency. The agency accountant will take care all the accounting work, arrangement for the audit and tax filing for you. Singapore is one of the members of the Financial Action Task Force. Therefore, all Singapore banks must follow certain regulations in line with the international standards of risk management. Hence, before accepting you as a customer, every bank has the obligation to conduct the due diligence by collecting certain documents in order to comply with anti-money laundering laws. Trading history, such as agreement copies (both buyers and sellers), purchase order copies, sales confirmation copies and so on. Furthermore, you will need to write a business plan (your agency may assist you to prepare it if you do not have previous experience). Generally speaking, the business plan does not need to be too detailed, but you do need to provide a direction for your business (what services you intend to offer, in which countries you intend to operate and so on). In order to open the bank account, you will have to visit Singapore to meet up with the banker. However, for a small fee (500 SGD), your agency can assist to make meeting reservation with banker and bank account opening process can easily settle within one day. Just remember to bring along your passport, residential address proof and cash for initial deposit. Finally, it is also possible to open an off-shore bank account (for instance in Switzerland) without visiting Singapore. I recommend you to discuss these details with your agency as choosing the right bank is extremely important. Are you looking for an agency that can help you to set up your Singapore company? I accept that this form collects my name, email and other information. I accept the Terms & Conditions of this website. p.s. Note that we receive hundreds of emails every day and, sometimes, we can’t reply fast. At the same time, we assume that you want to get this info ASAP, so we’ll also forward your message to the agency we recommend. In this way they can get in touch with you much faster!